Sarah Bell shares some sustainability lessons from Cullinan Studio. We are Cullinan Studio, a cooperatively owned architecture practice. We pride ourselves on our commitment to sustainability from our design work through to the way we run our office. We joined the ISEP to cement our commitment to lowering our carbon output. We recognised the need to cut UK carbon emissions not only in built projects but in how we work as a business. We wanted to lead our clients by example. We also recognised that this tied in with monetary saving on day to running and travel costs. We appointed a carbon coach to put in place our monitoring system. We began to monitor our energy usage and audit all of our equipment and began to replace equipment that used a lot of energy with new products and equipment are low energy rated, this was a priority. We amended our travel policy to only use low carbon modes of transport eg public transport and not flying were possible. We also introduced monetary incentivised cycling. We began to only use like-minded companies to supply our office with the full spectrum of supplies (stationery, cleaning products, food etc) where ever possible. We have had a couple of stumbles, food recycling has currently not taken off but our recycling and reusing is working well, and we plan to look into food recycling again before the end of the year. 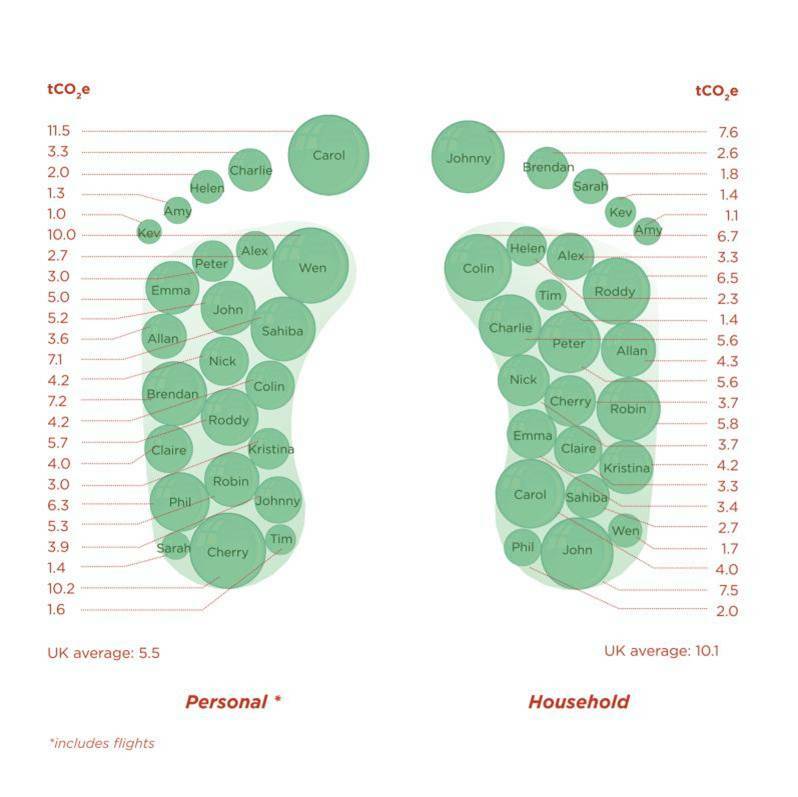 We complete our carbon business and staff footprint every year which accompanies our energy use report that is made available through our website. We are aiming to continue to lower our carbon usage year on year and are continually working to be pioneers of carbon reduction throughout our building designs. The key piece of advice we would give, is to get people involved and engaged, while at the same time keeping their input as simple as possible. It has definitely helped that most members of the office have an interest in reducing carbon throughout the office and in their homes.